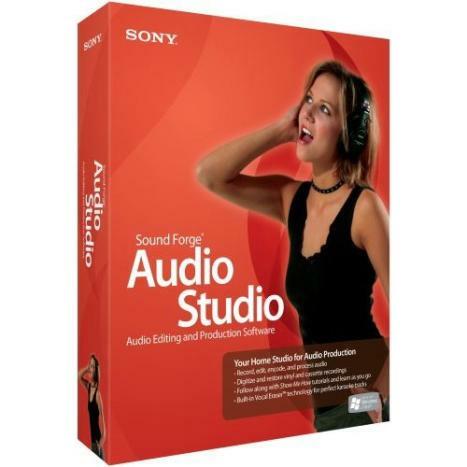 Sound Forge Pro 10 software efficiently and reliably provides audio editors and producers complete control over all aspects of audio editing and mastering. Whether in the studio or field, it's the ultimate all-in-one production suite for professional audio recording and mastering, sound design, audio restoration, and Red Book CD creation. New features in Sound Forge Pro 10 include precise event-based editing, integrated disc-at-once CD burning, musical instrument file processing, and pristine audio conversion and time stretching. Enhanced timestretch and pitch shifting with the lastique Timestretch plug-in. Support for processing musical instrument files (.dls, .sf2, .gig). The Global media cache setting on the Editing tab of the Preferences dialog allows you to reserve RAM for media recently read from or written to disk. Enhanced Broadcast Wave Format (.bwf) support. Enhanced window layout management â€” save, recall, and share custom window layouts. Tabbed browsing for maximized data windows. iZotope MBIT+ Dither bit-depth conversion and 64-Bit SRC sample rate conversion. You can now set default fade types for effects on the Editing tab in the Preferences dialog. » What does a scratch built VTA ST-70 sound like when it clips?